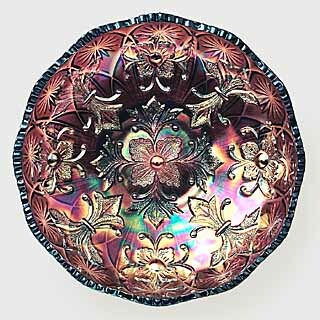 Named for the four fleur de lis shapes around the edge, the pattern is found in both collar base and a dome foot with sawtooth edge. 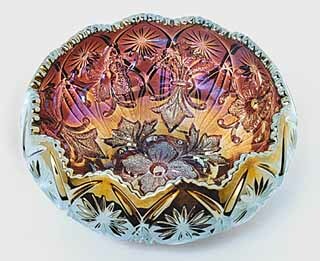 The exterior pattern is Country Kitchen. 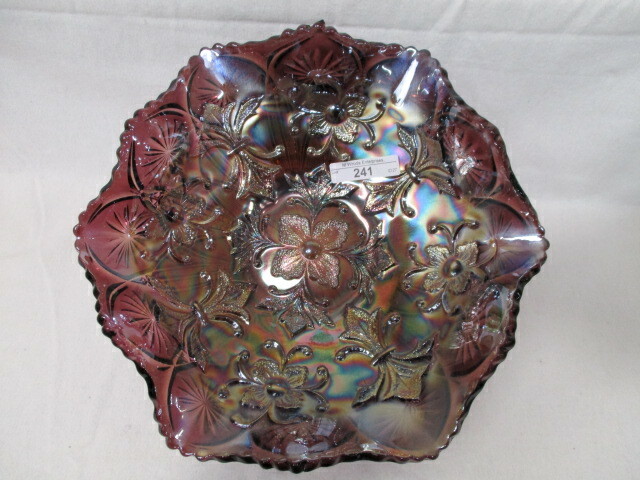 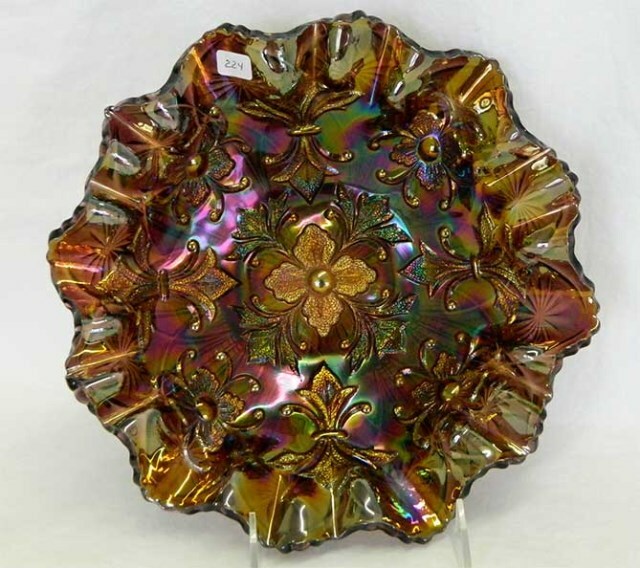 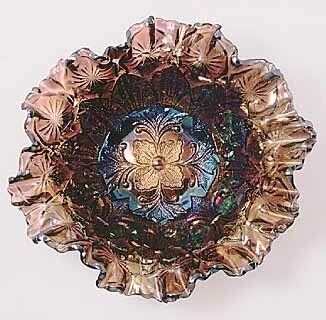 Bowls are found in ice cream shape, ruffled, crimped, three-in-one, and tri-cornered. 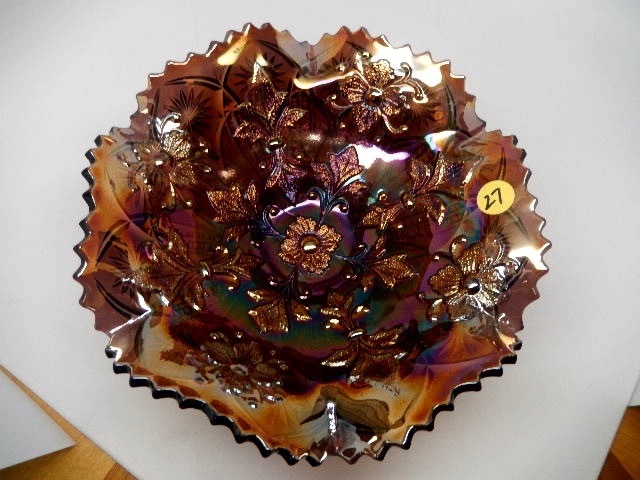 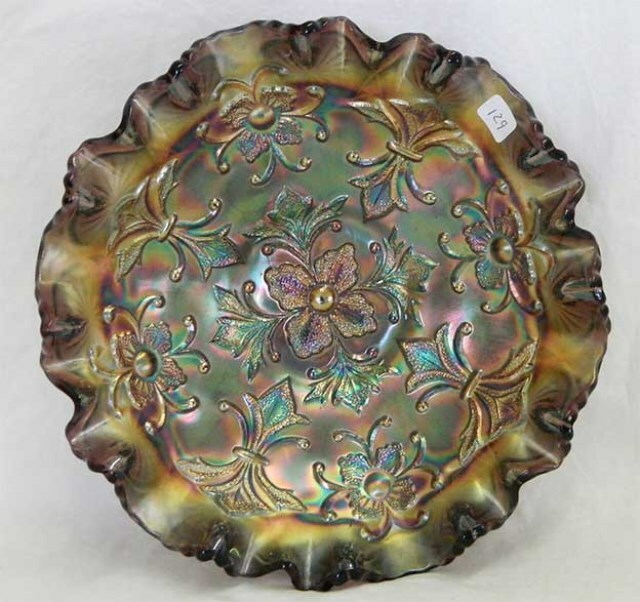 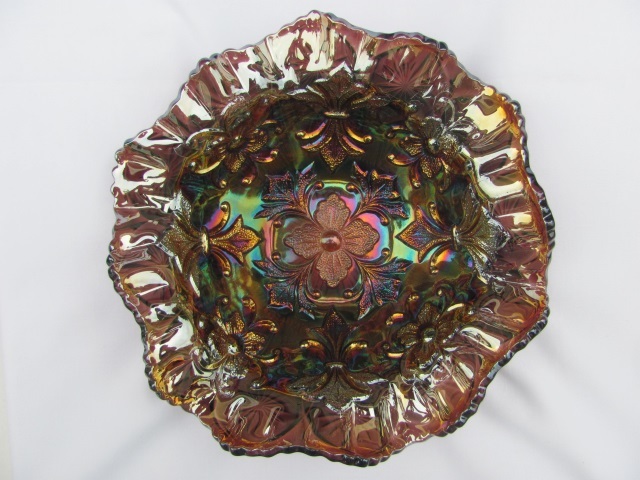 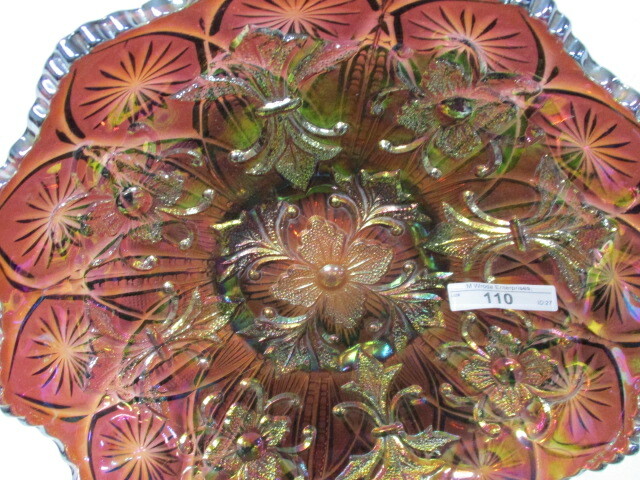 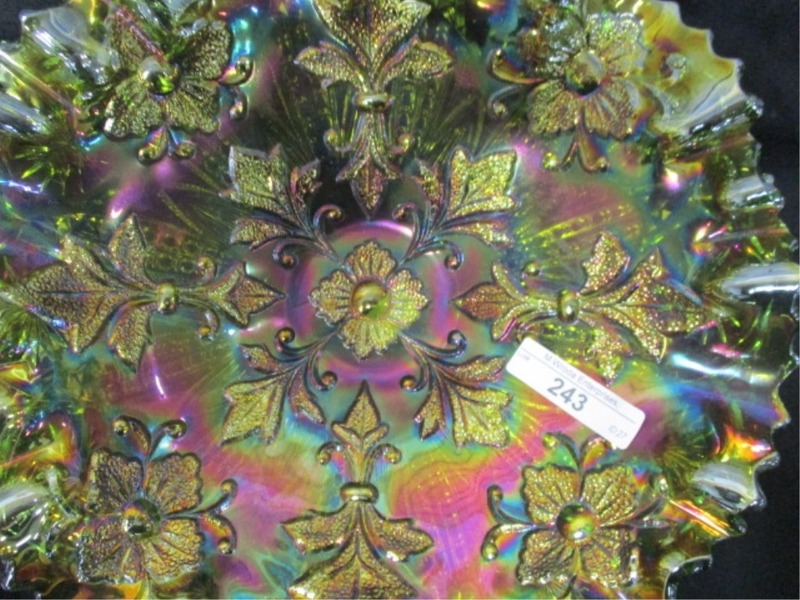 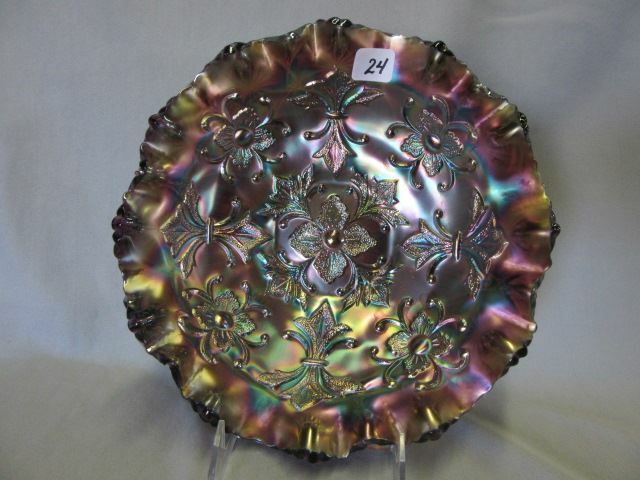 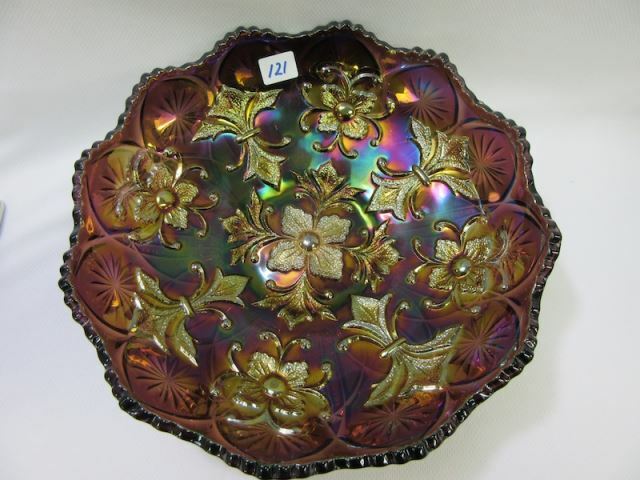 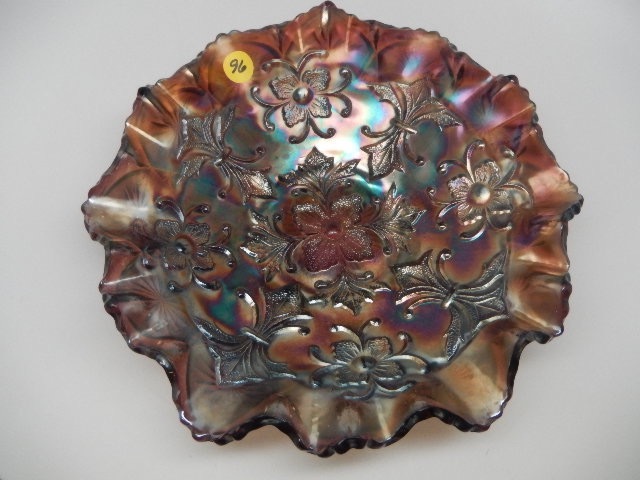 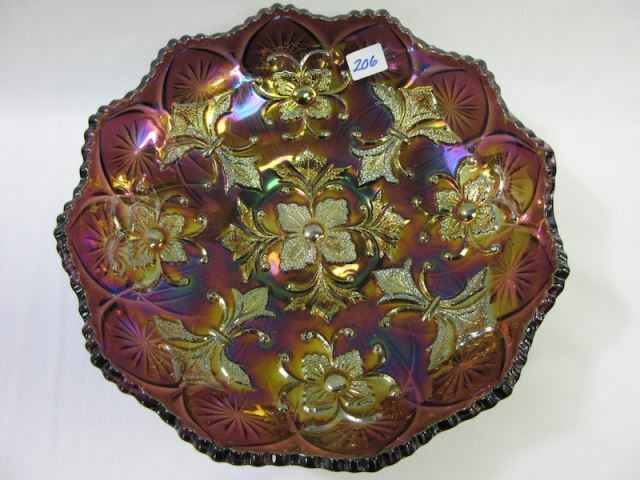 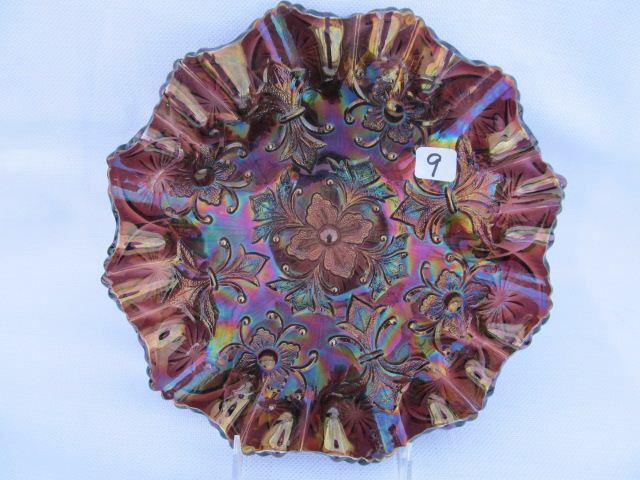 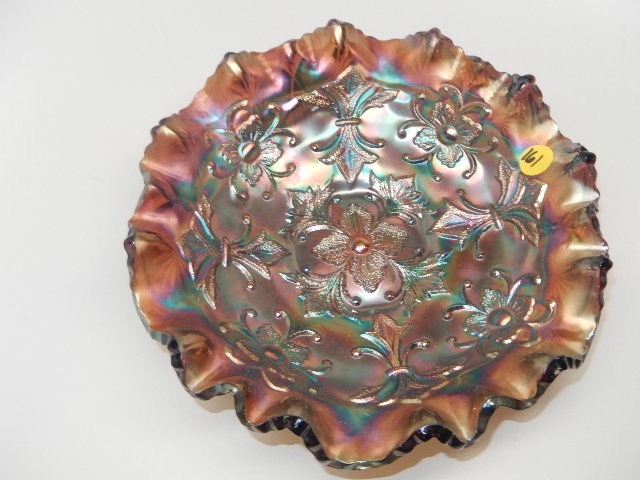 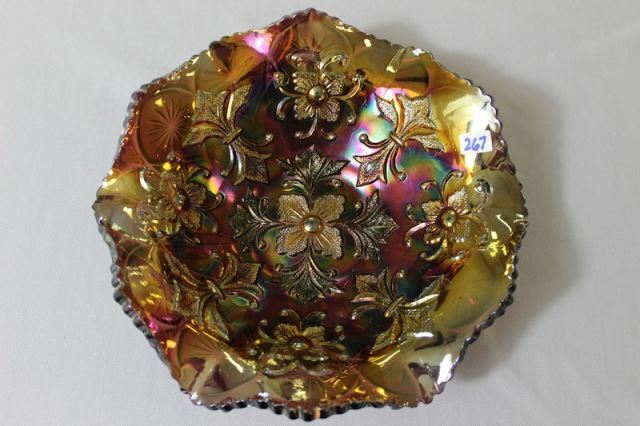 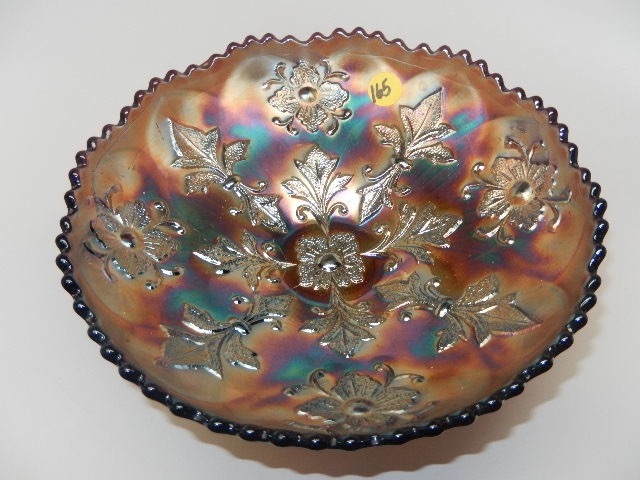 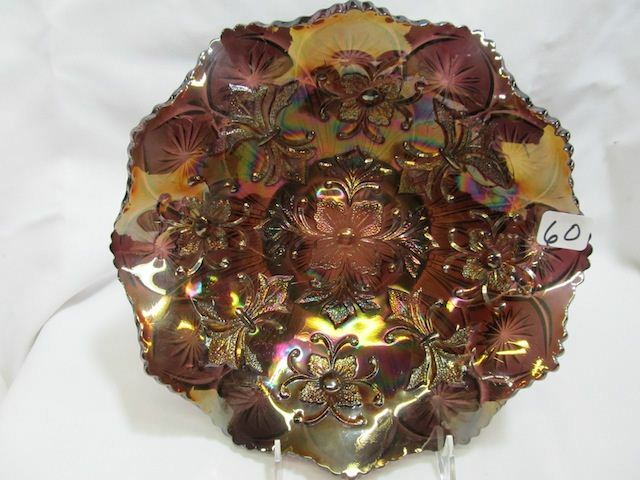 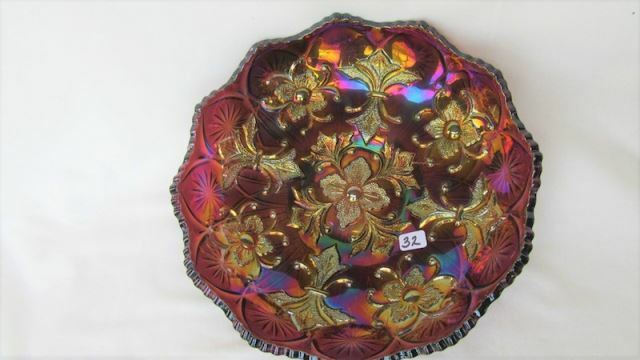 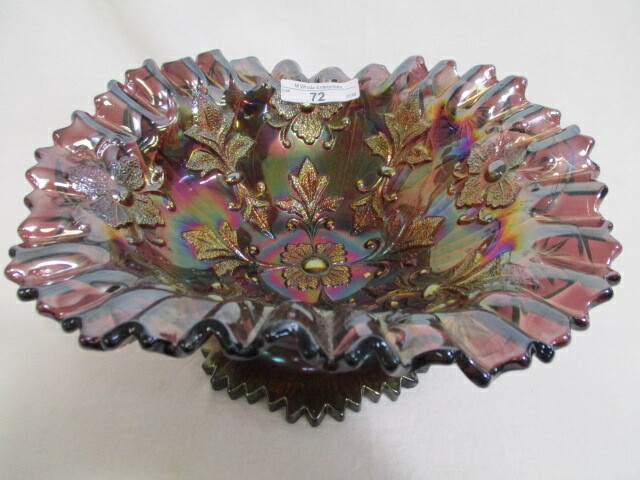 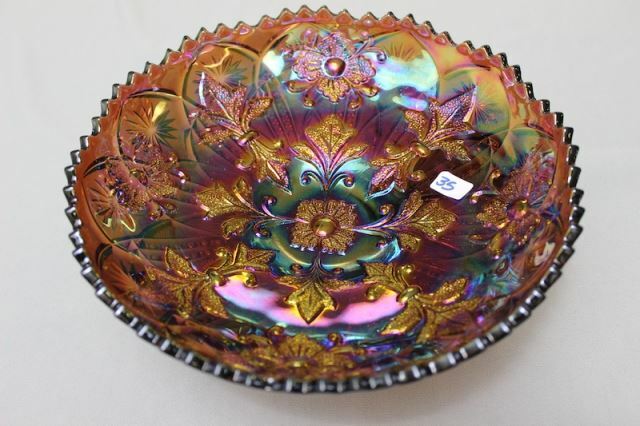 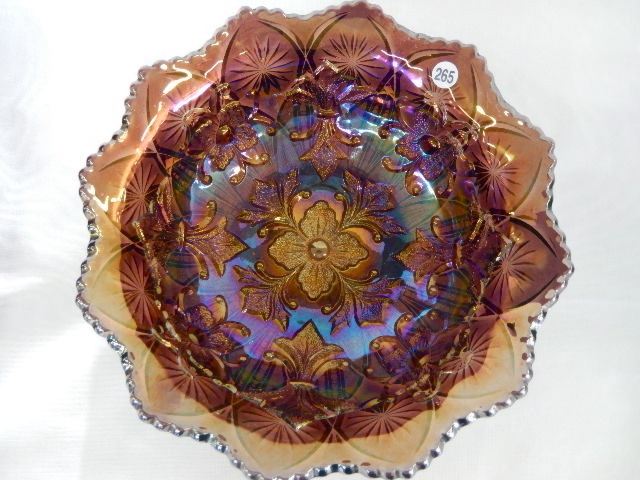 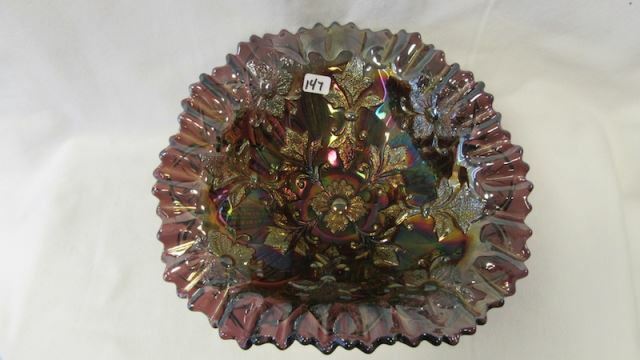 The bowl on the left is ice cream shape in amethyst; on the right a slightly oblong crimped bowl in amethyst that sold in 1996 for $800 (with minor flakes). 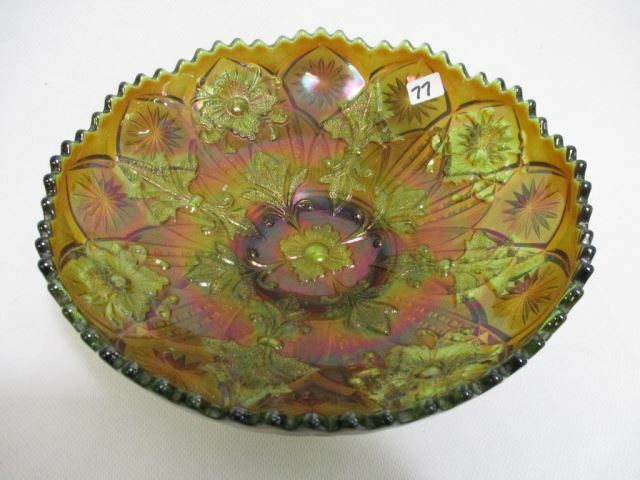 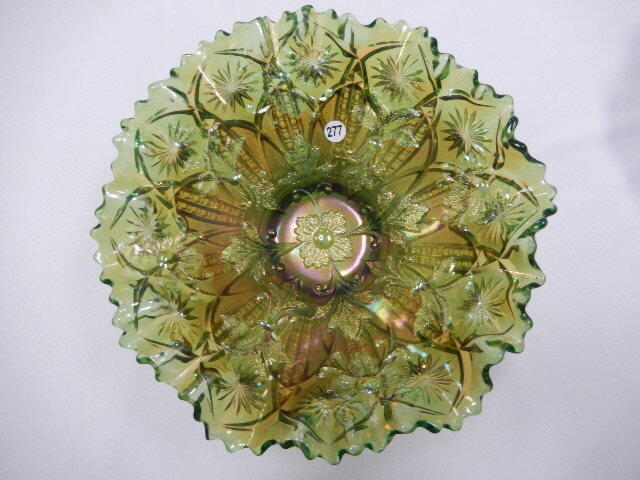 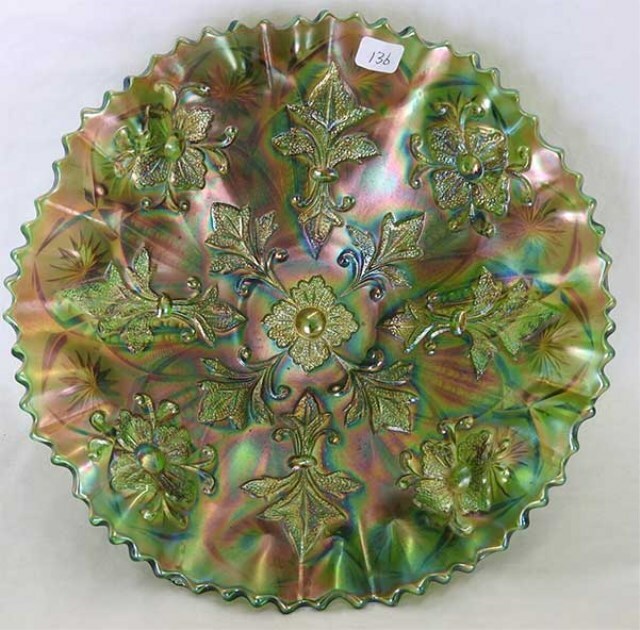 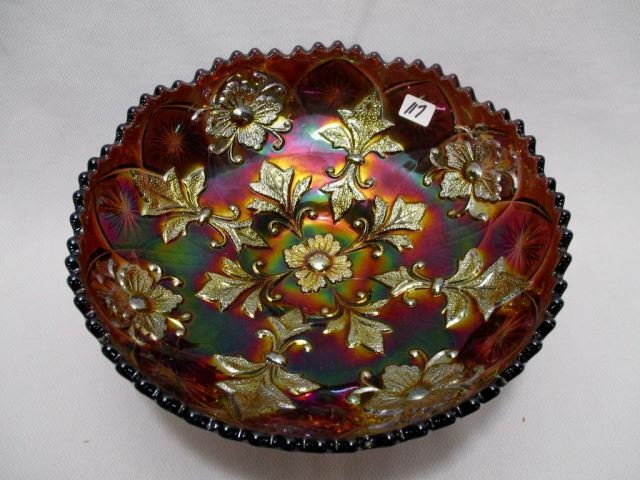 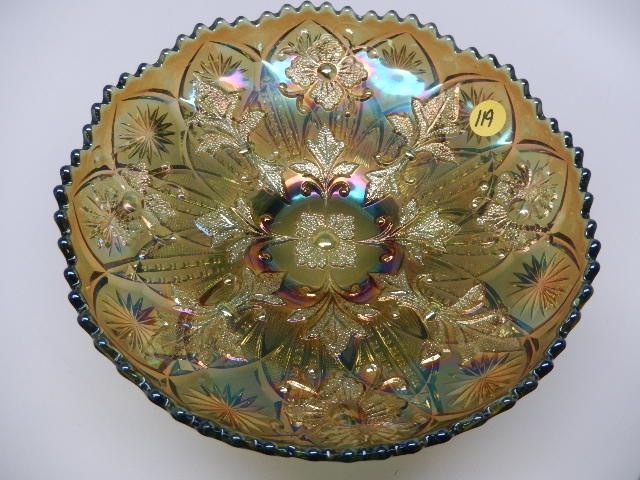 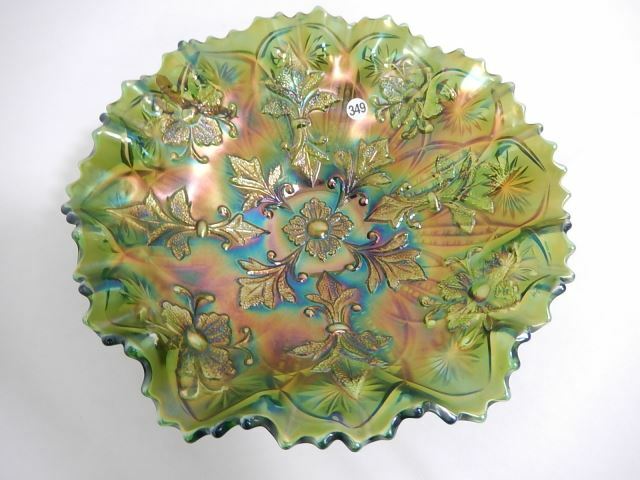 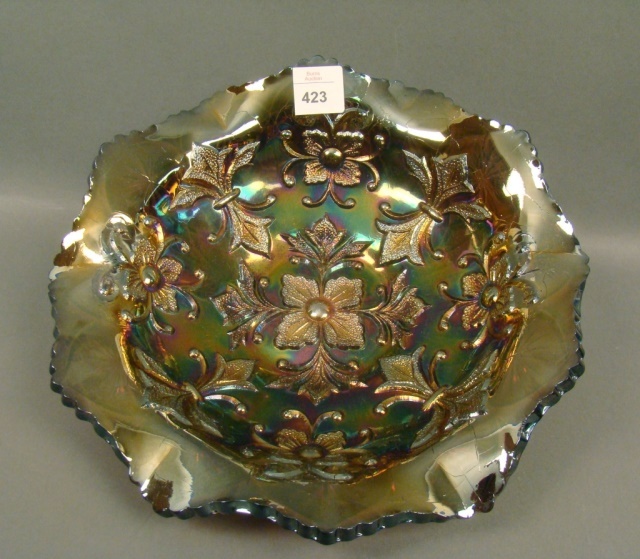 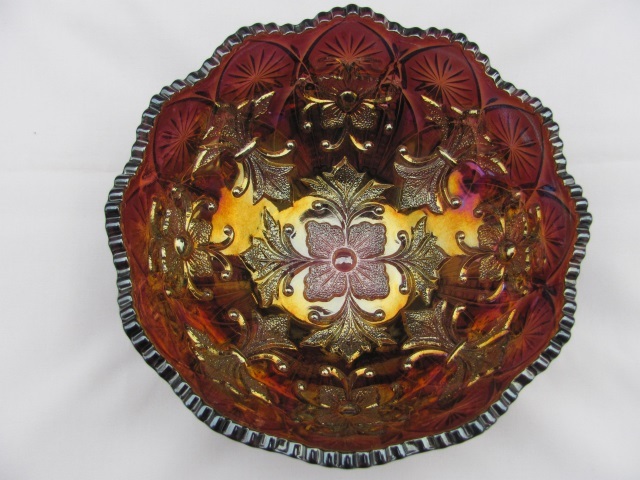 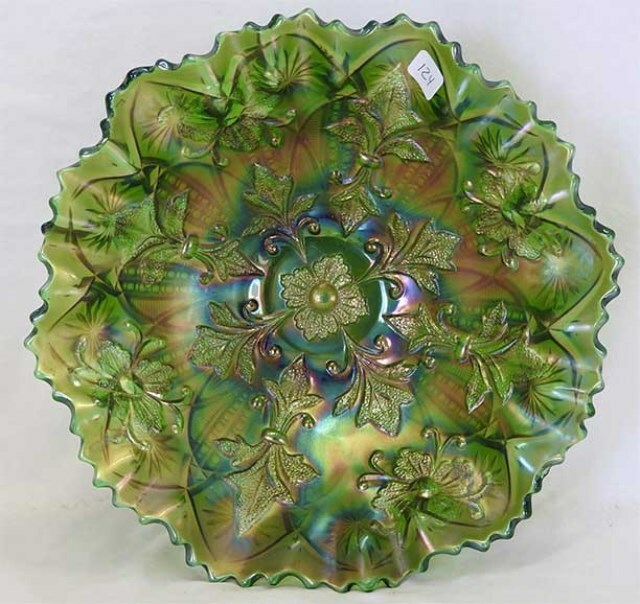 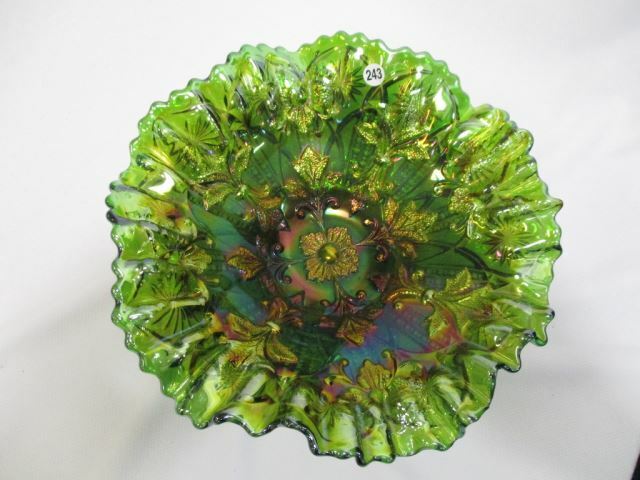 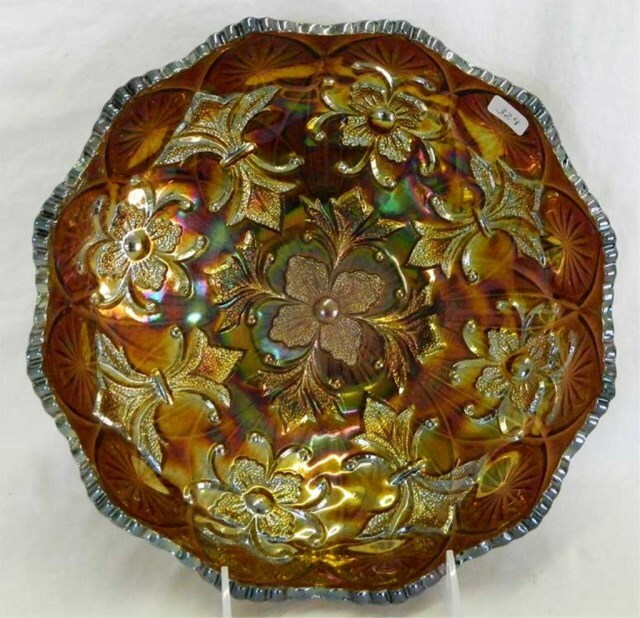 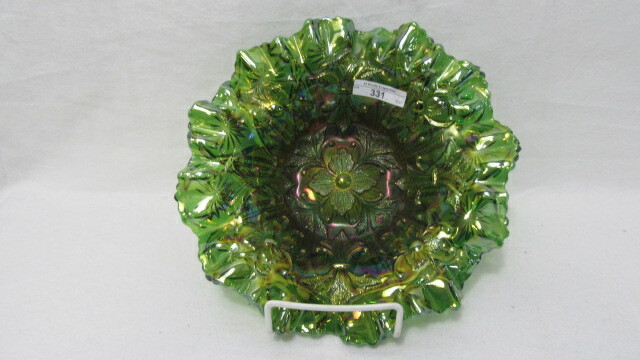 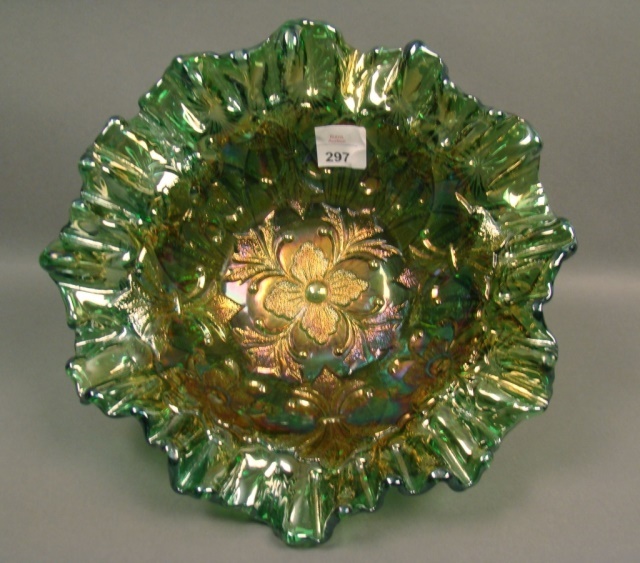 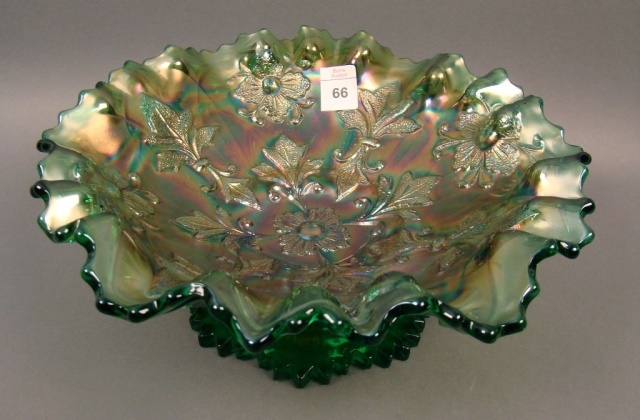 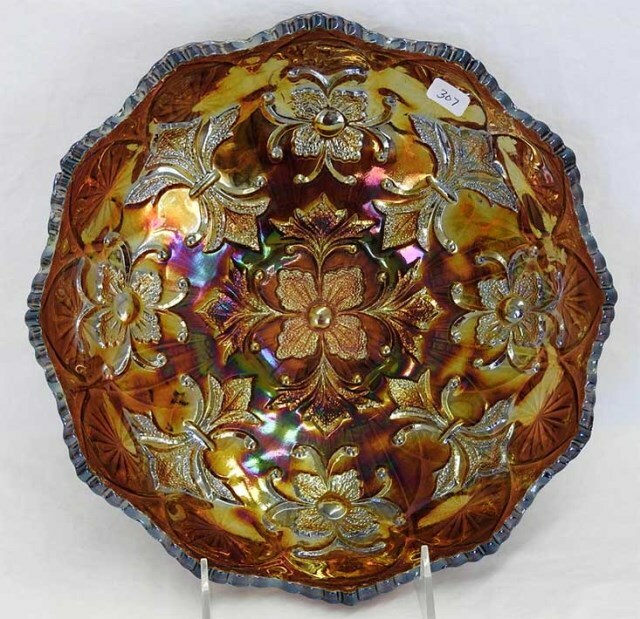 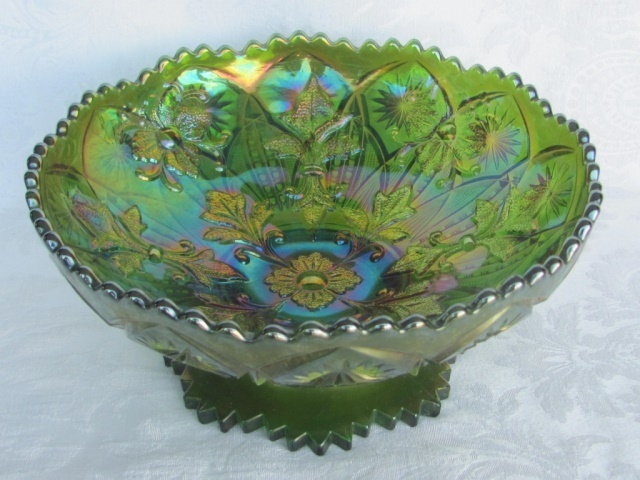 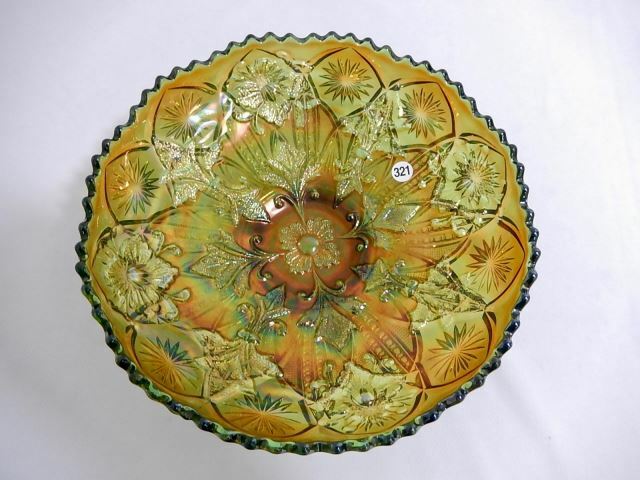 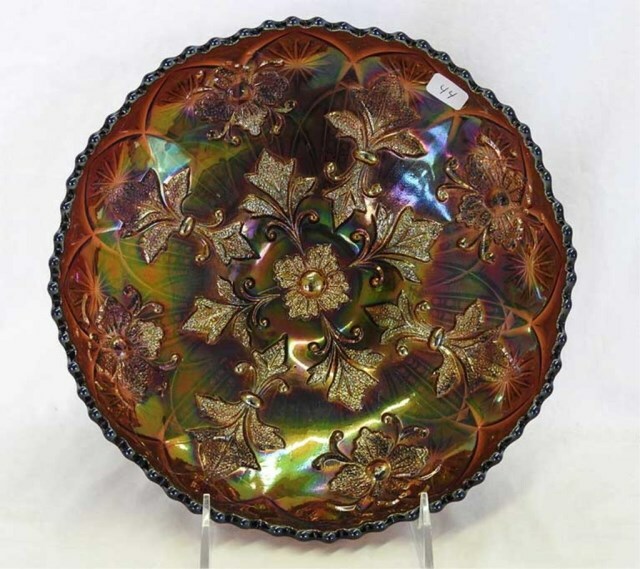 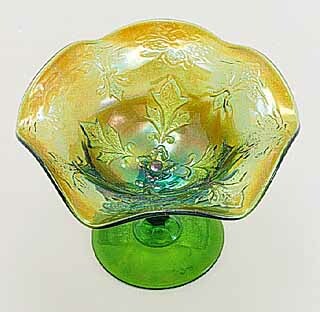 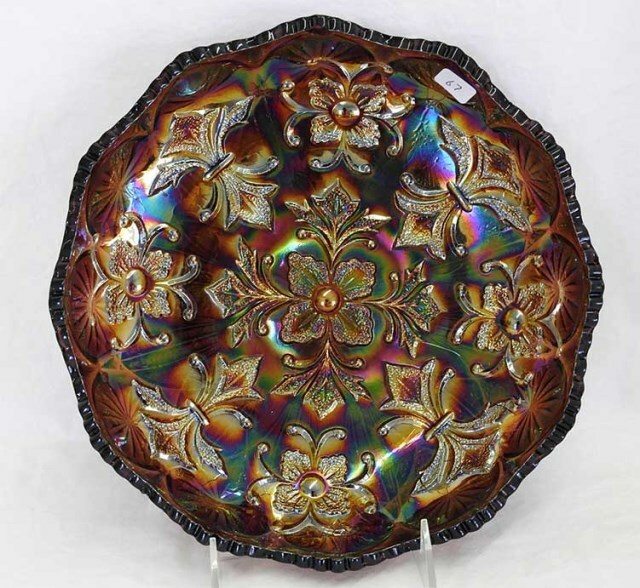 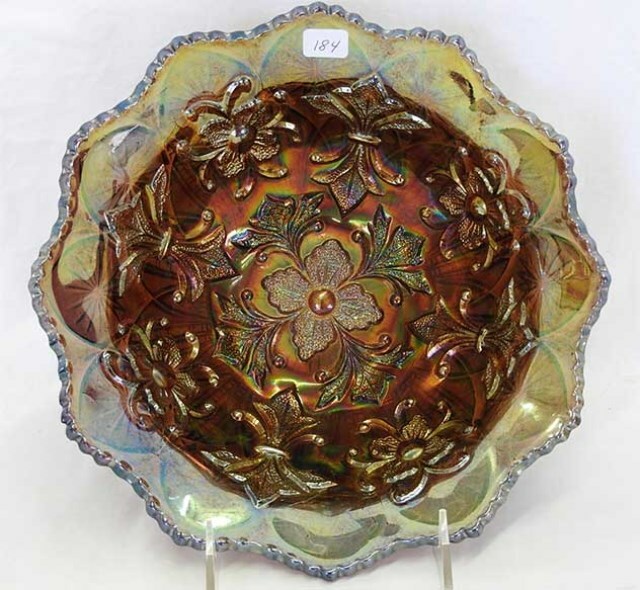 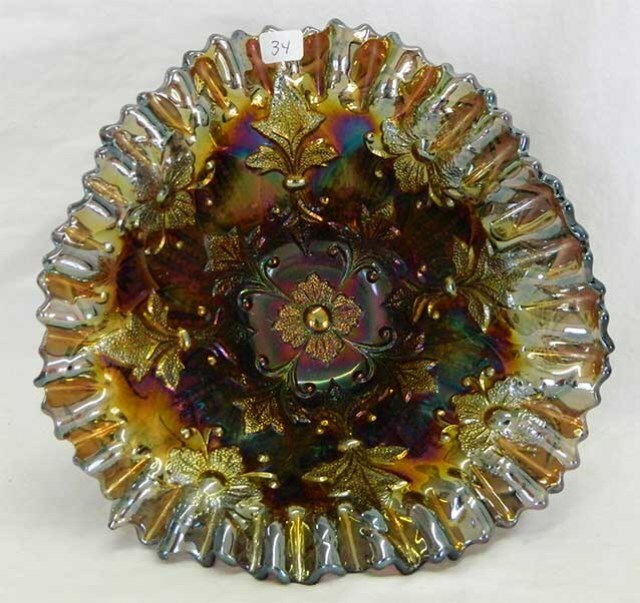 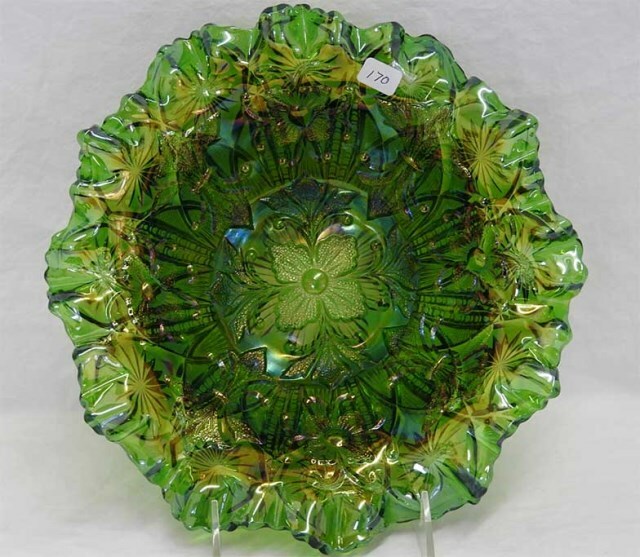 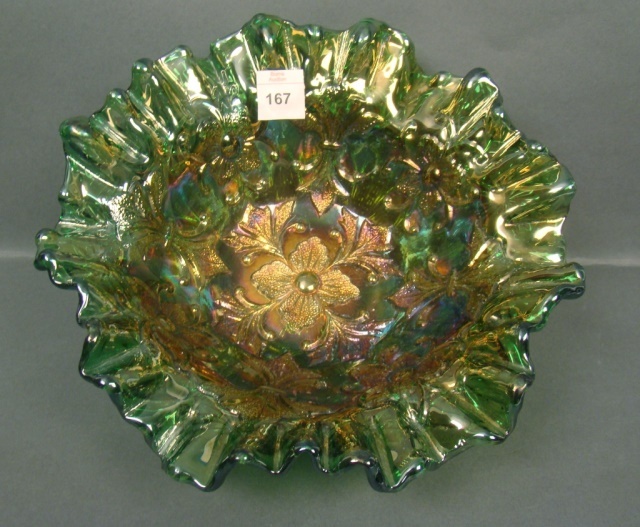 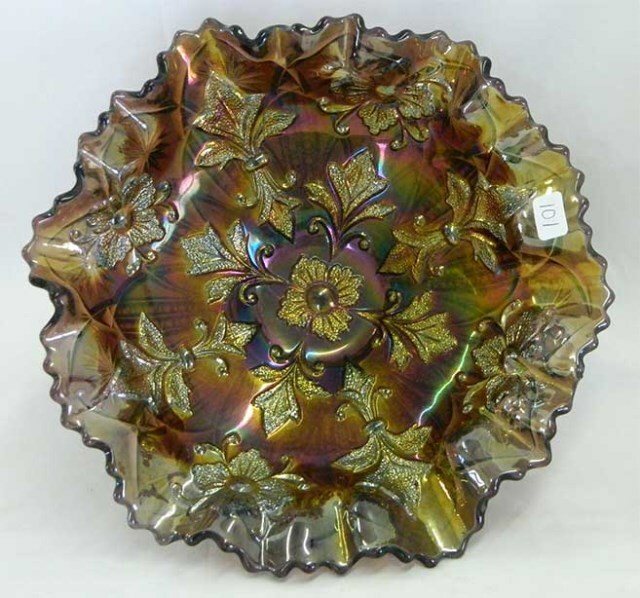 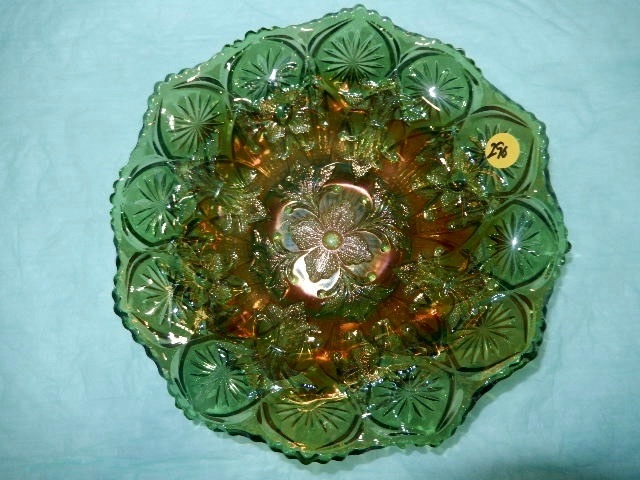 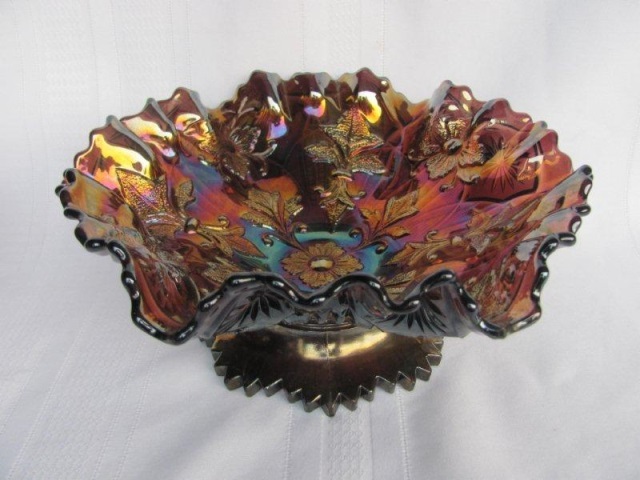 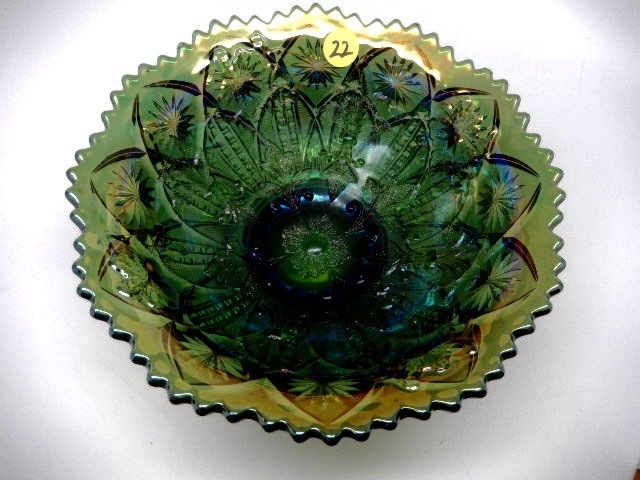 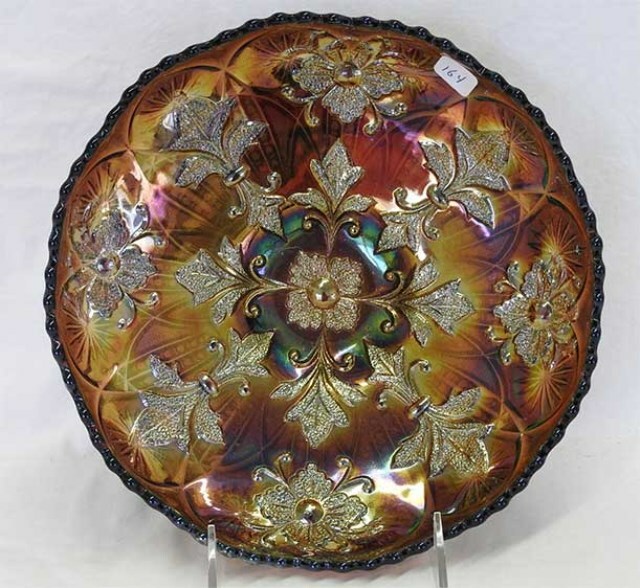 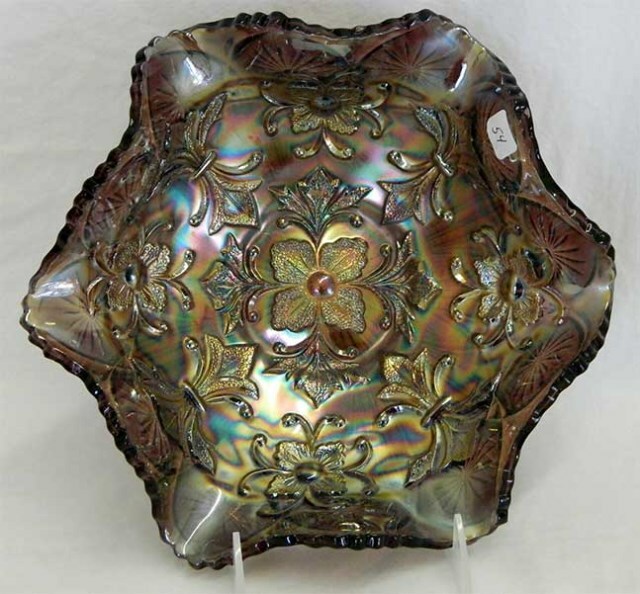 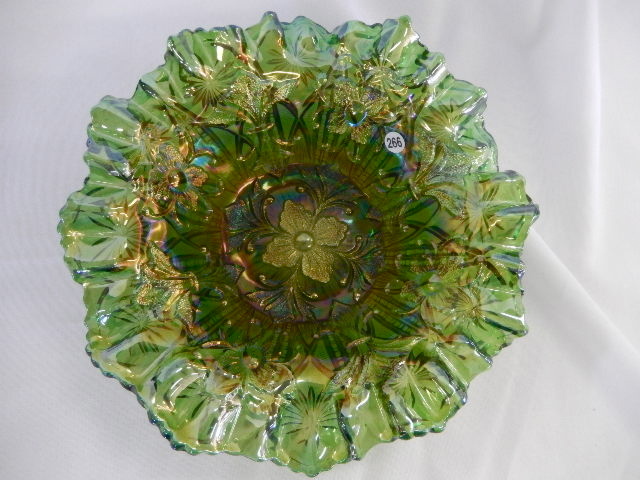 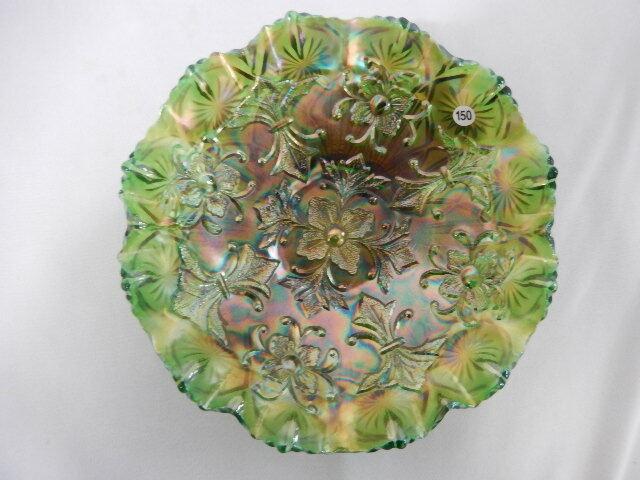 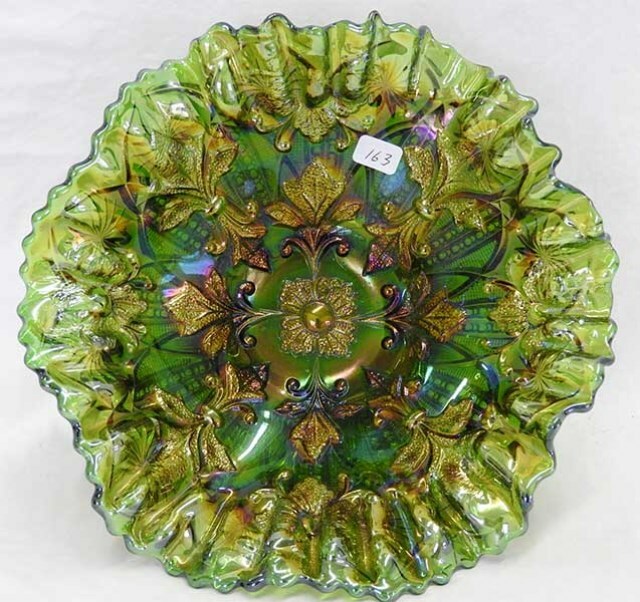 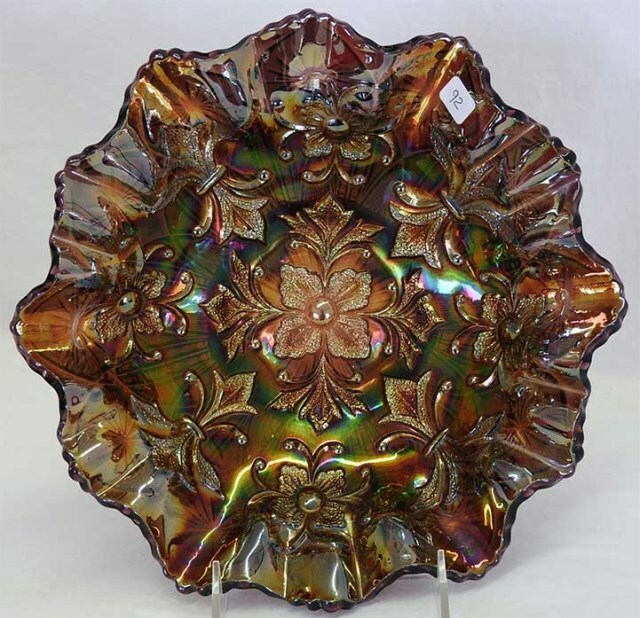 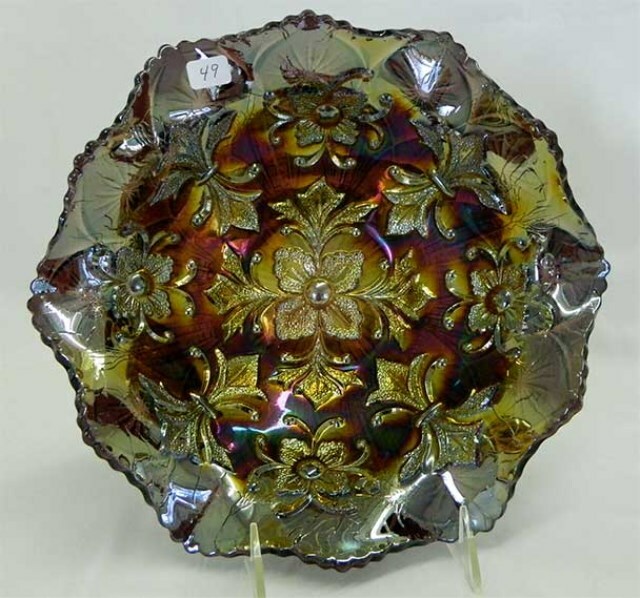 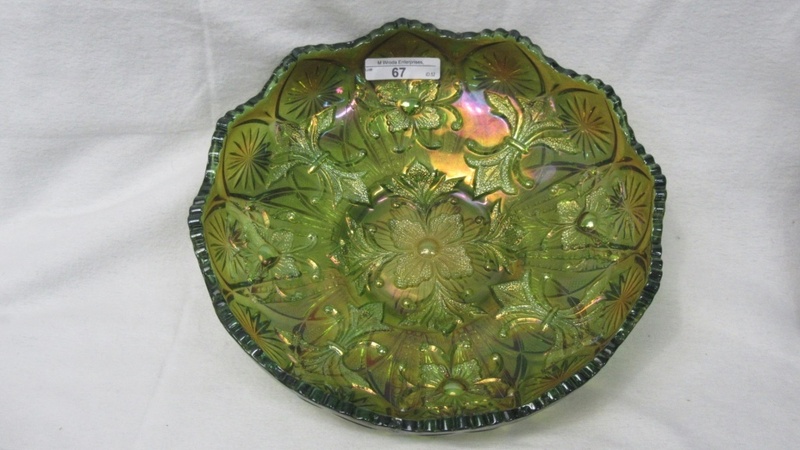 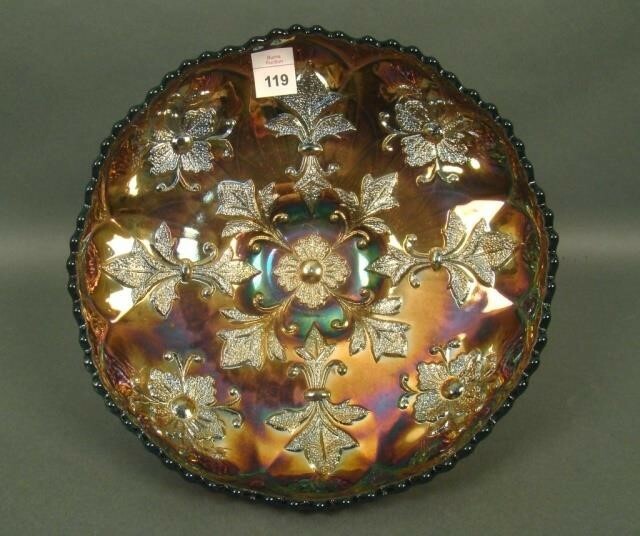 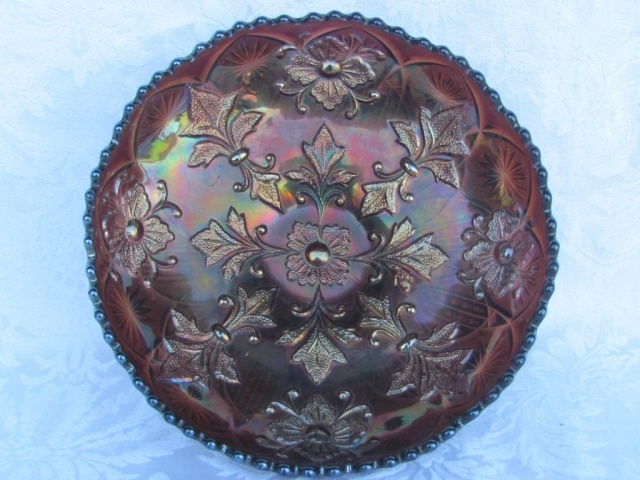 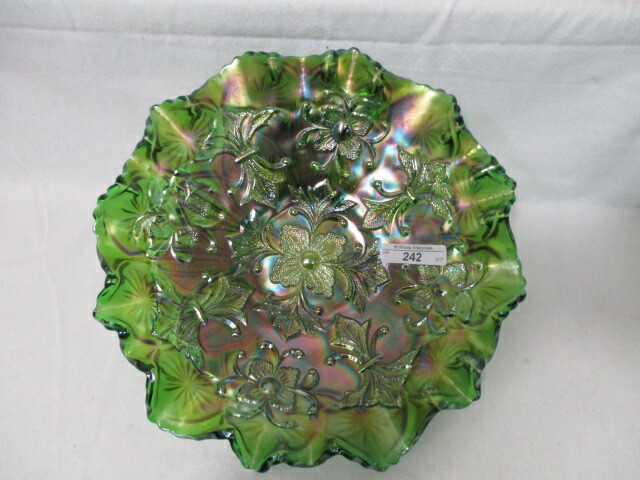 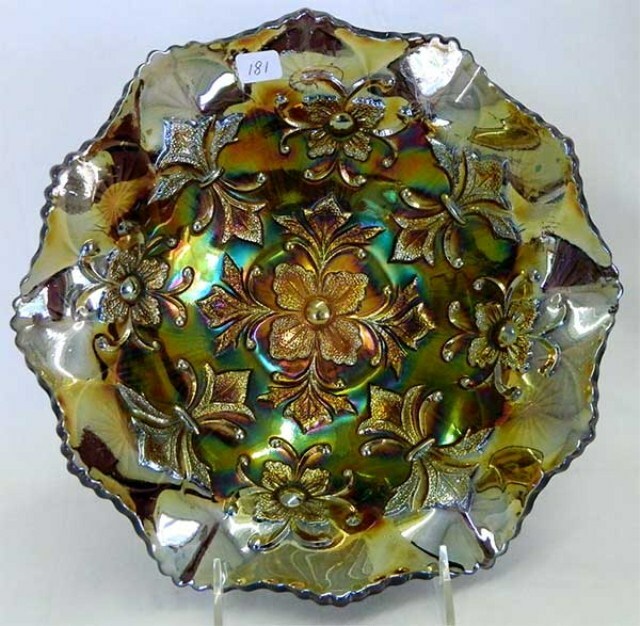 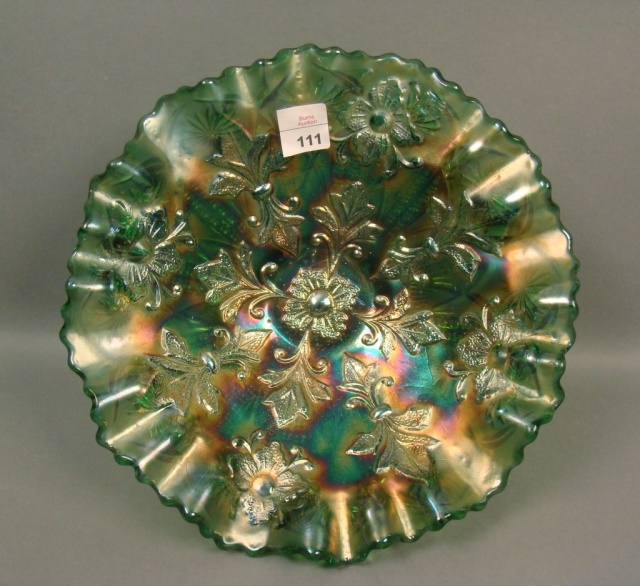 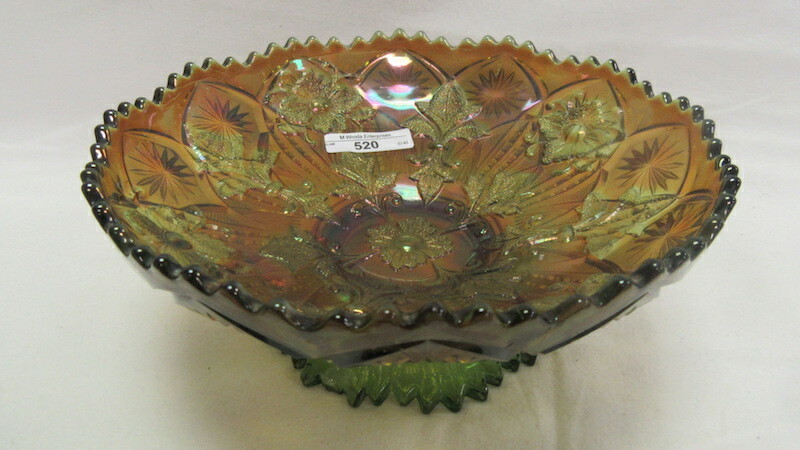 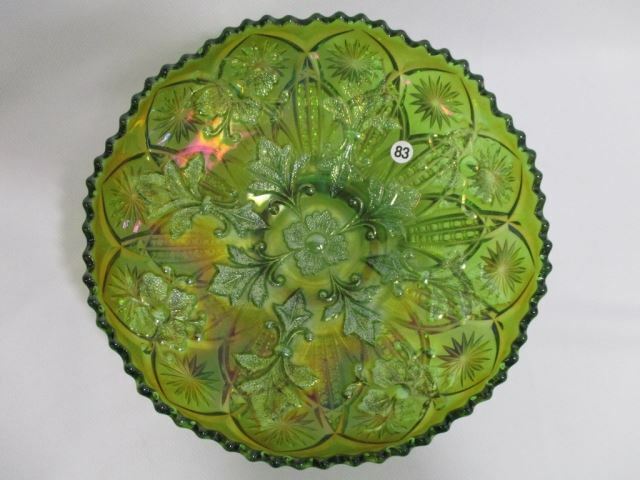 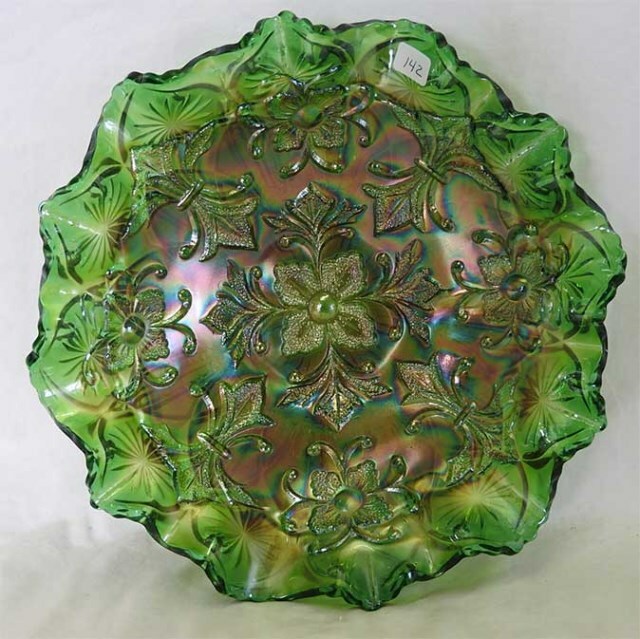 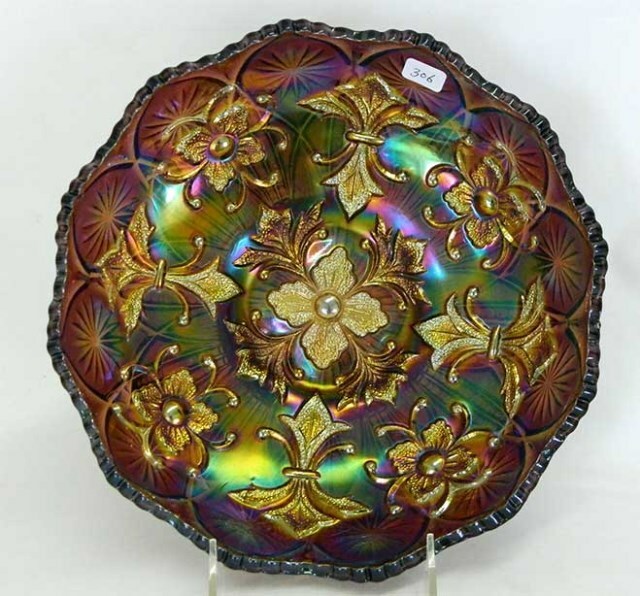 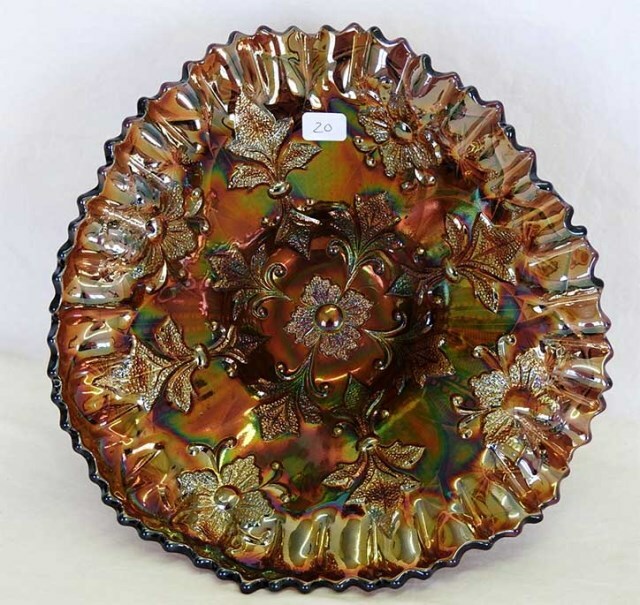 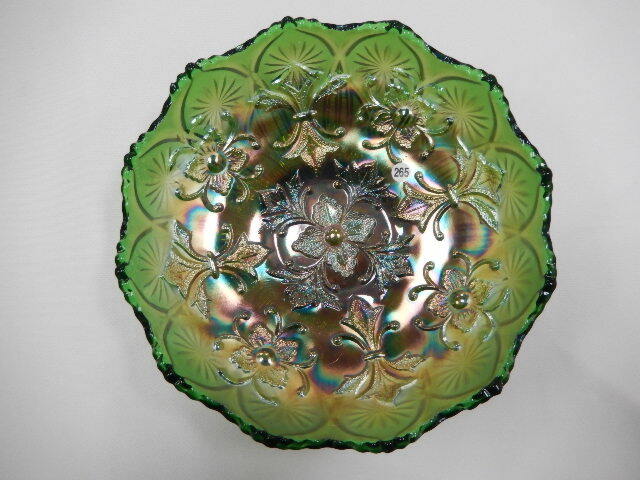 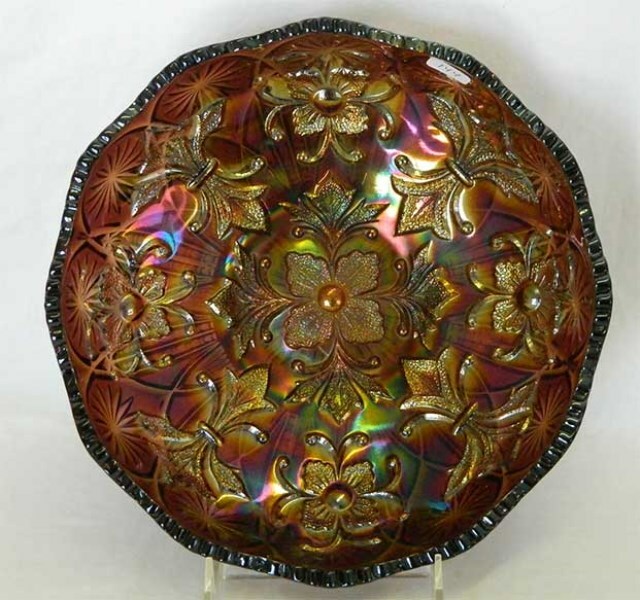 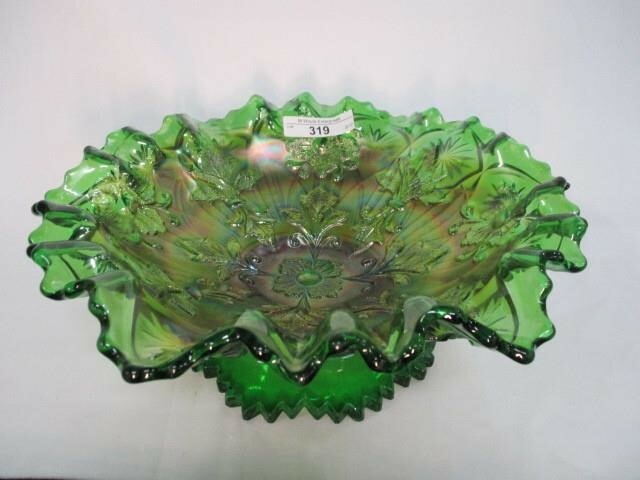 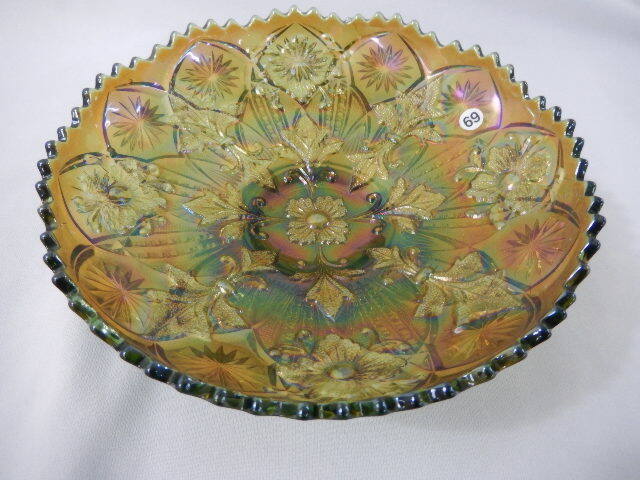 Rarities include rosebowls in both collar base and dome foot and a single green compote. 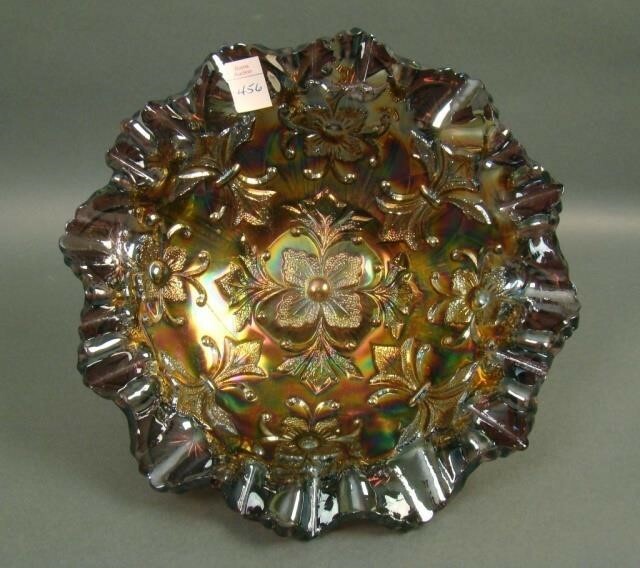 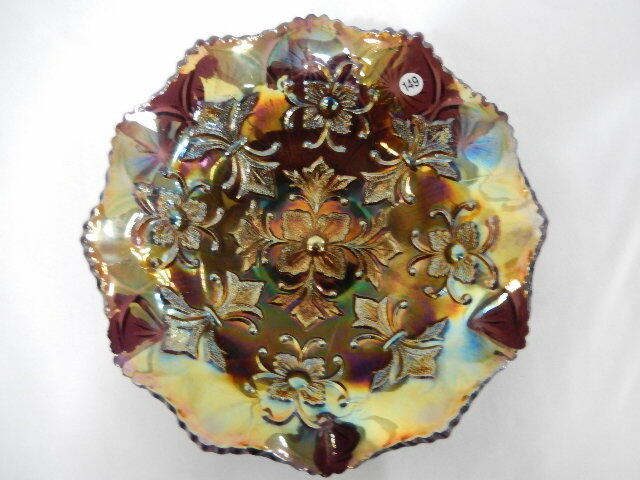 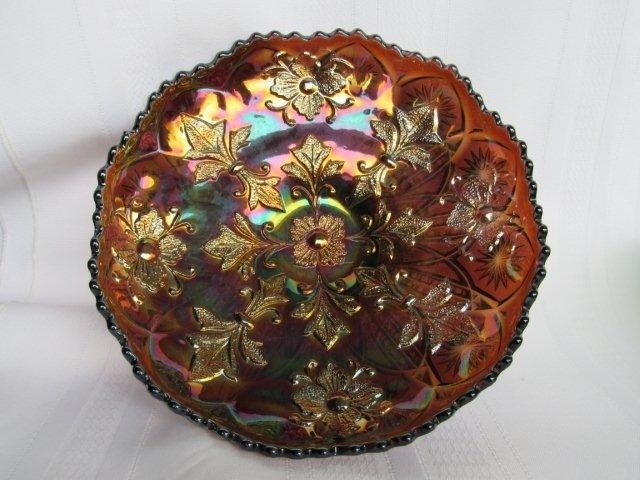 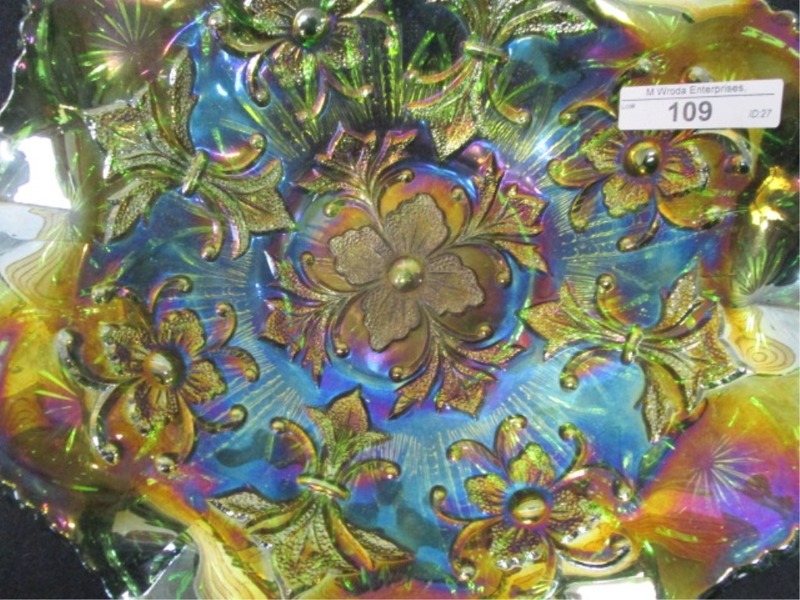 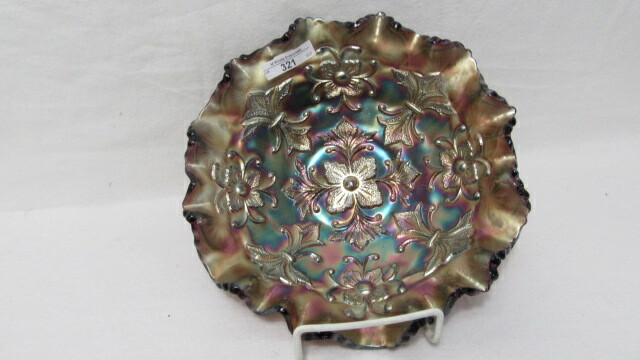 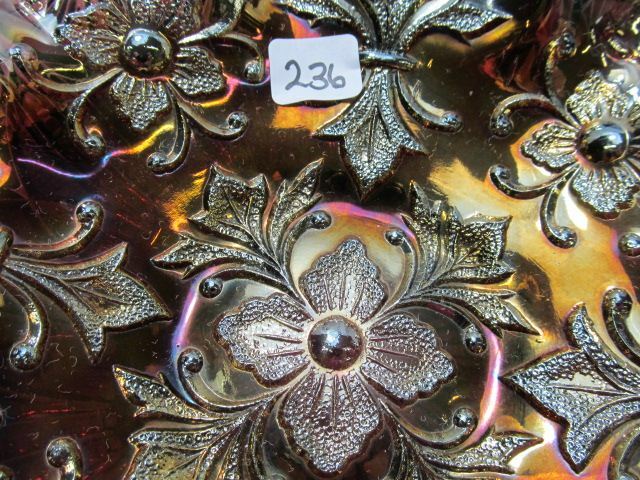 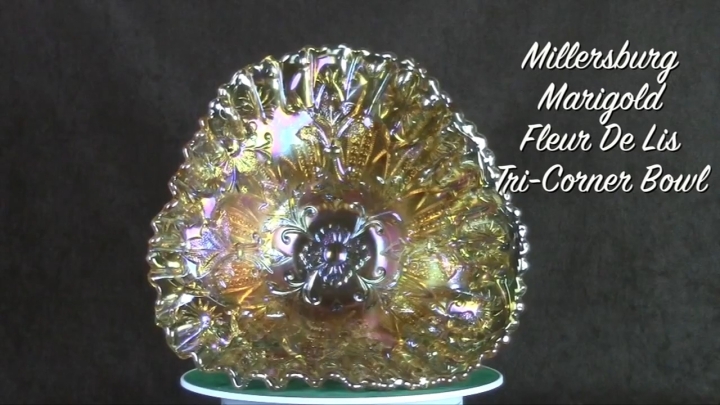 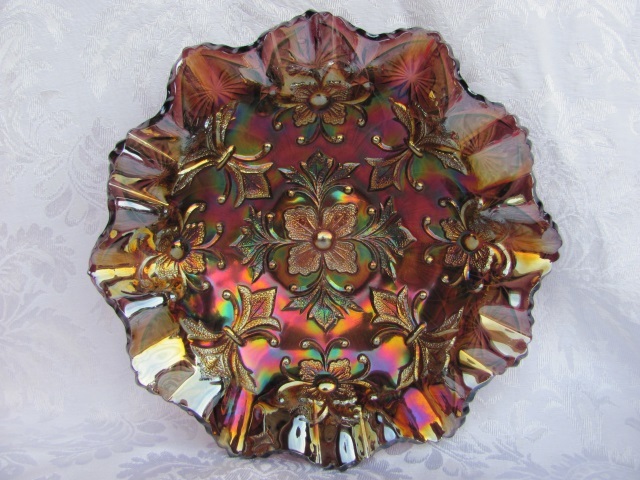 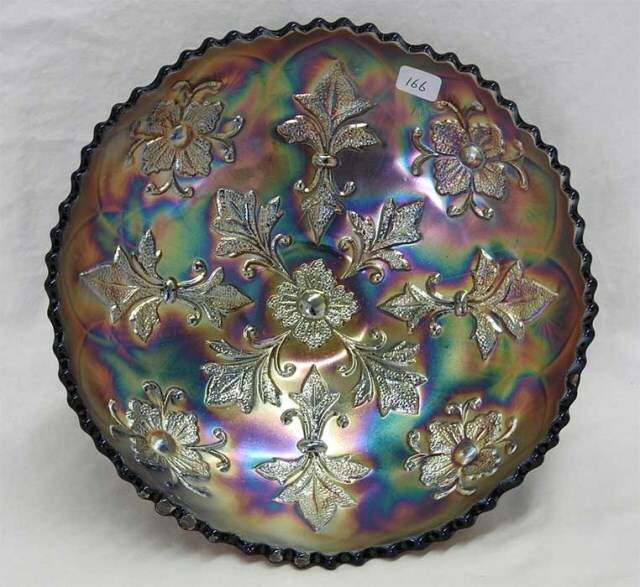 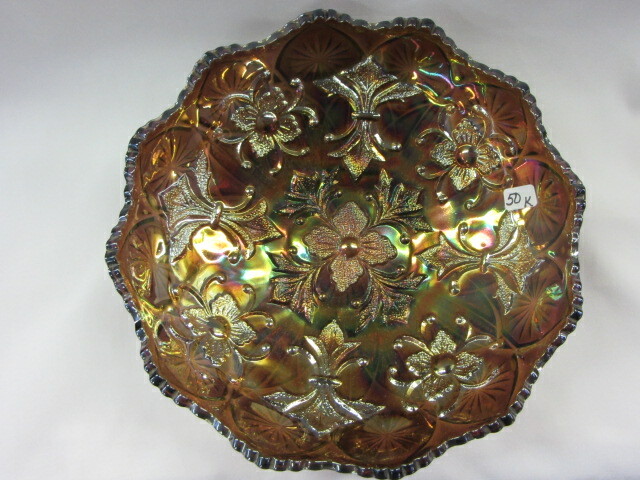 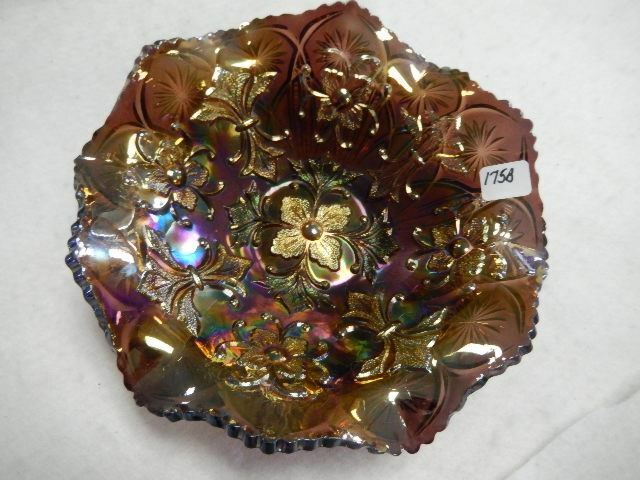 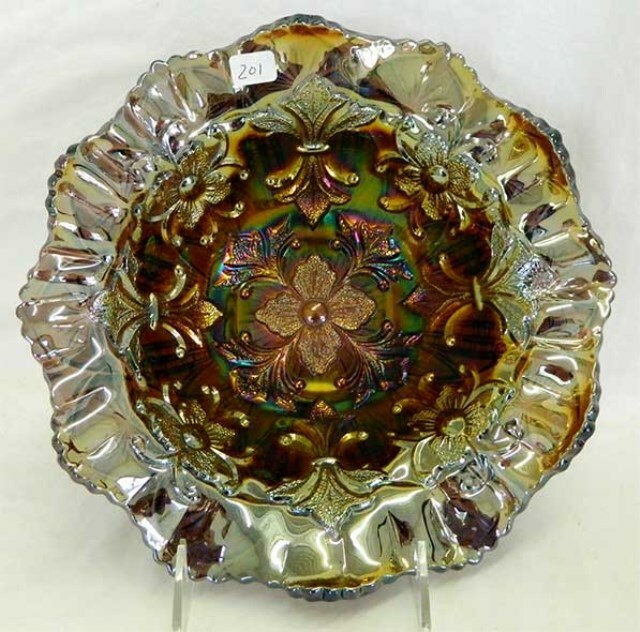 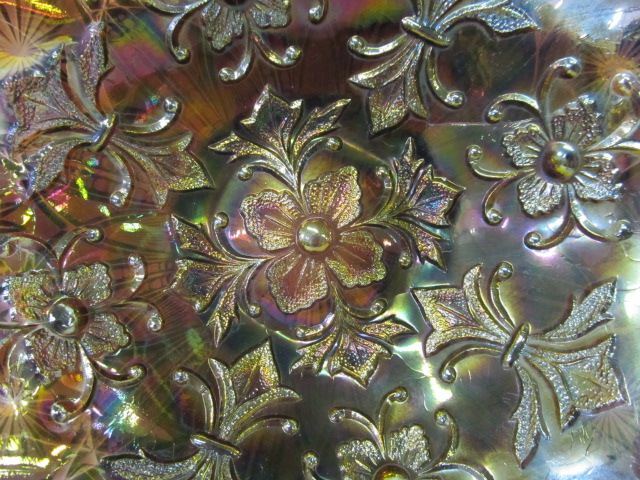 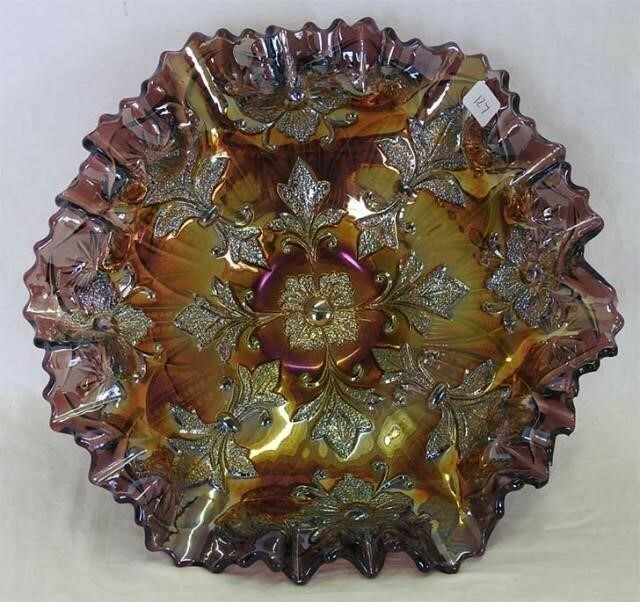 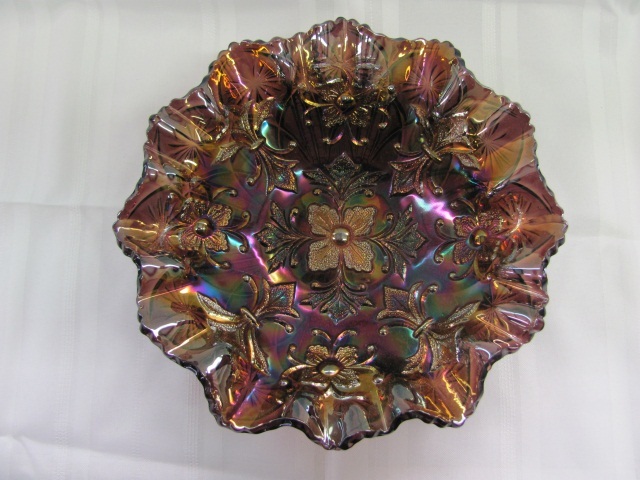 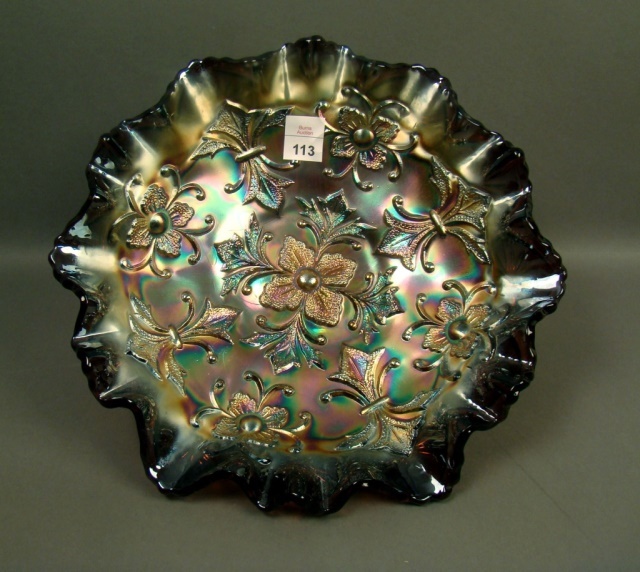 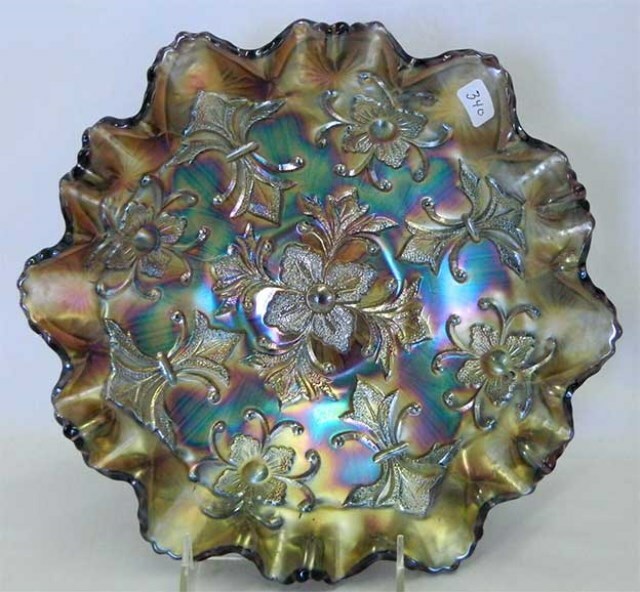 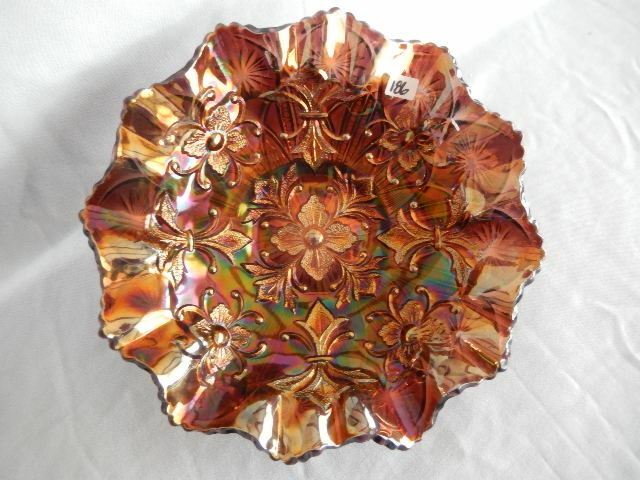 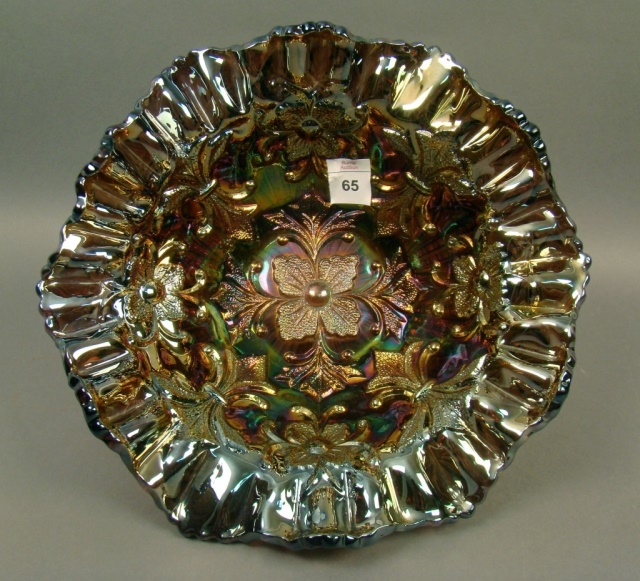 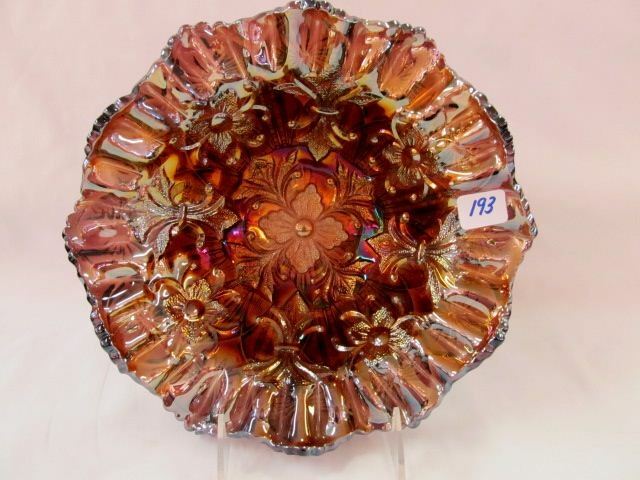 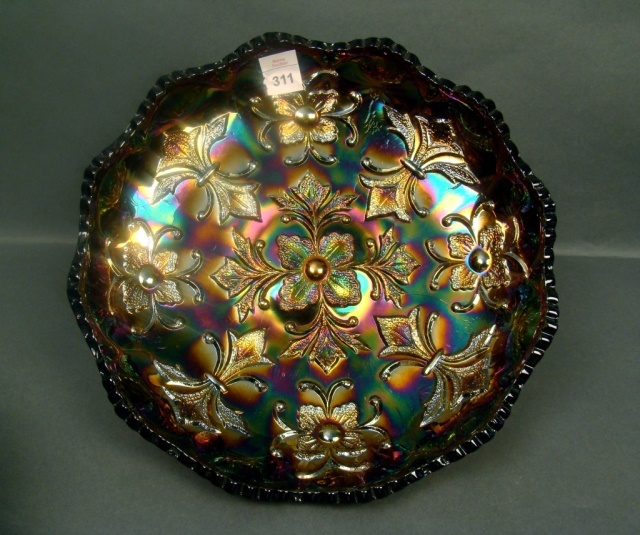 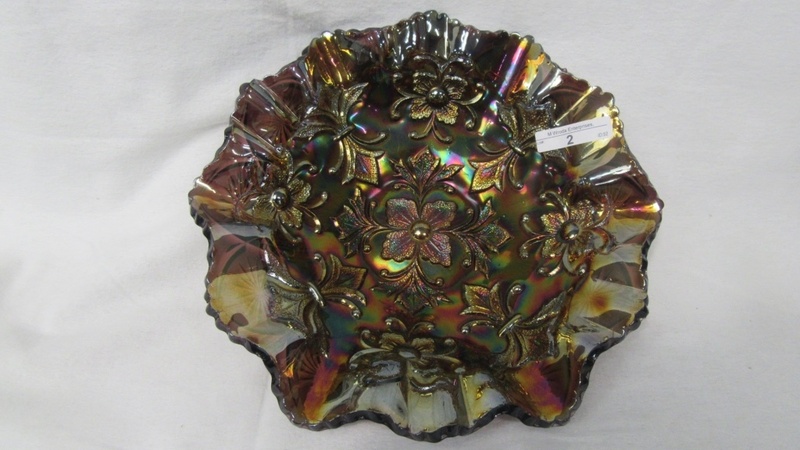 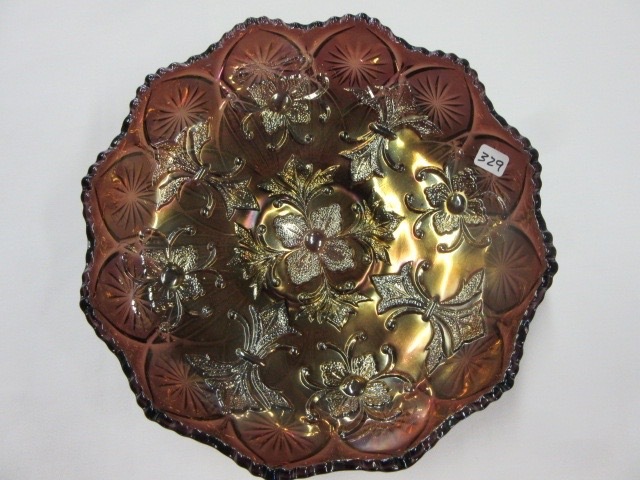 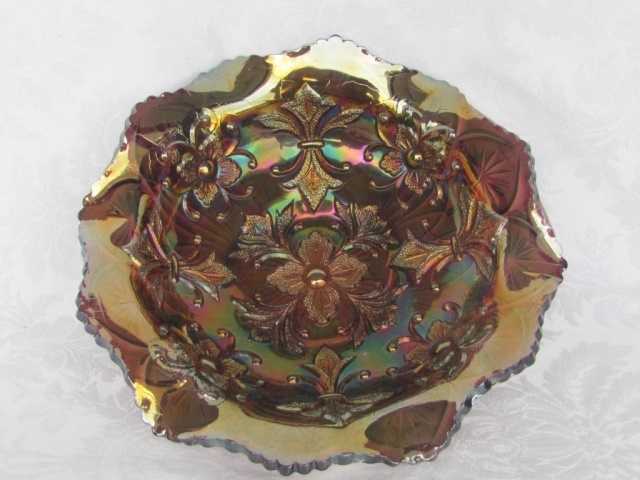 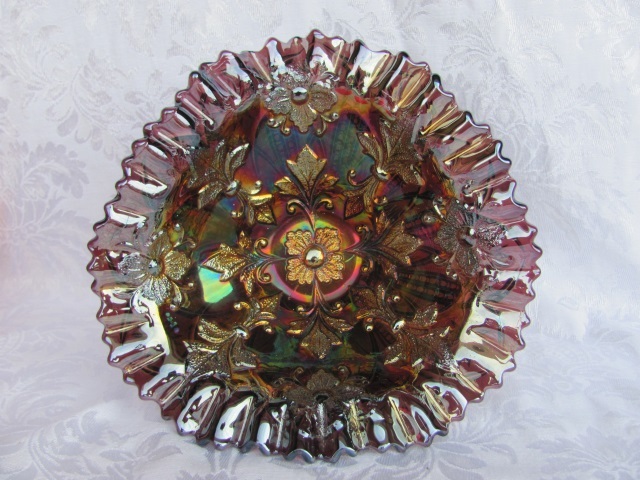 There are two known Fleur de Lis rosebowls that have dome feet. 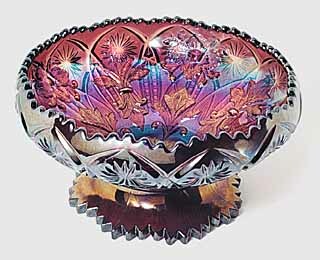 The one shown above, in amethyst, sold in 1994 for $2,250. 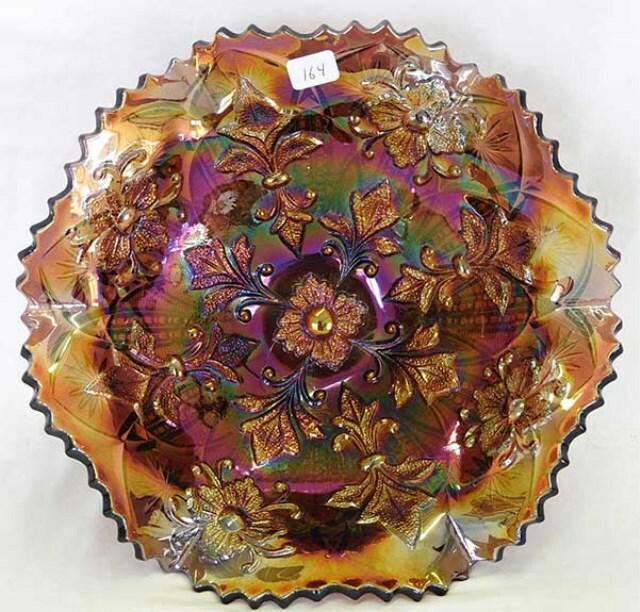 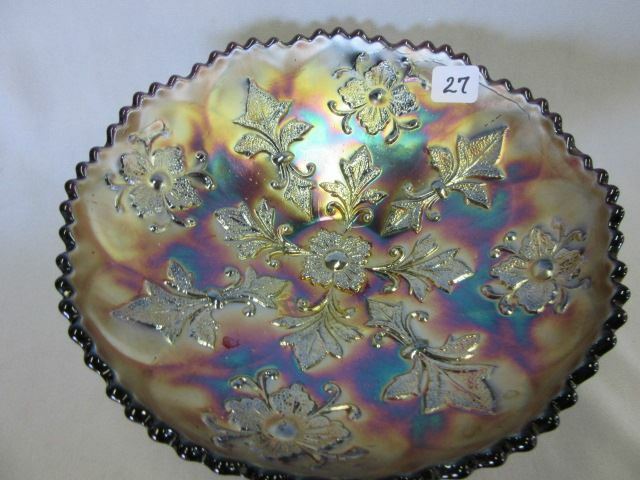 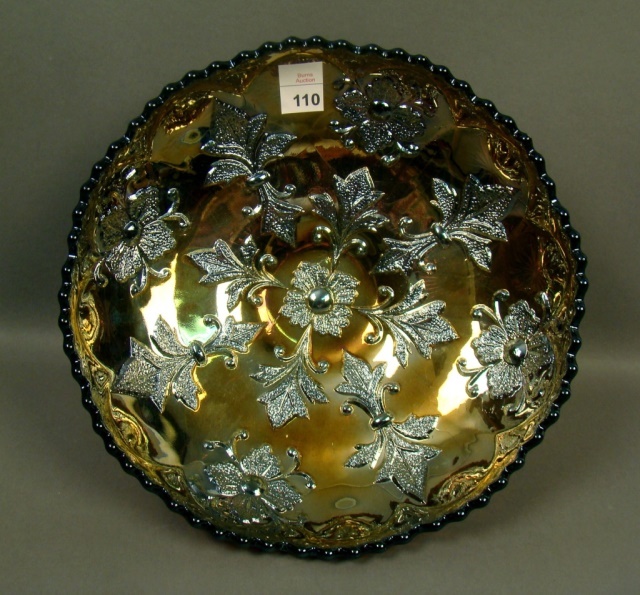 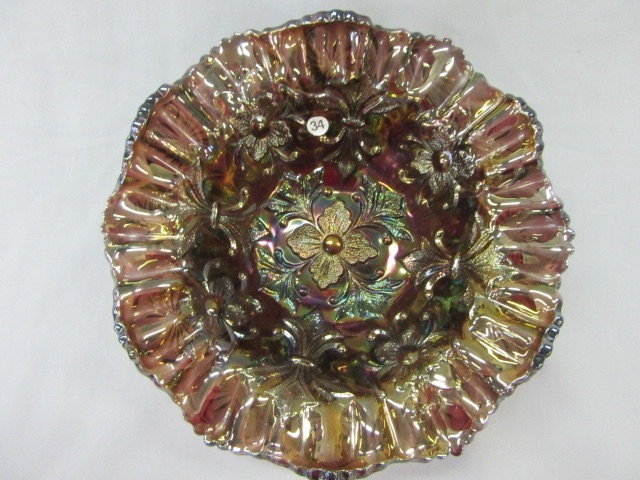 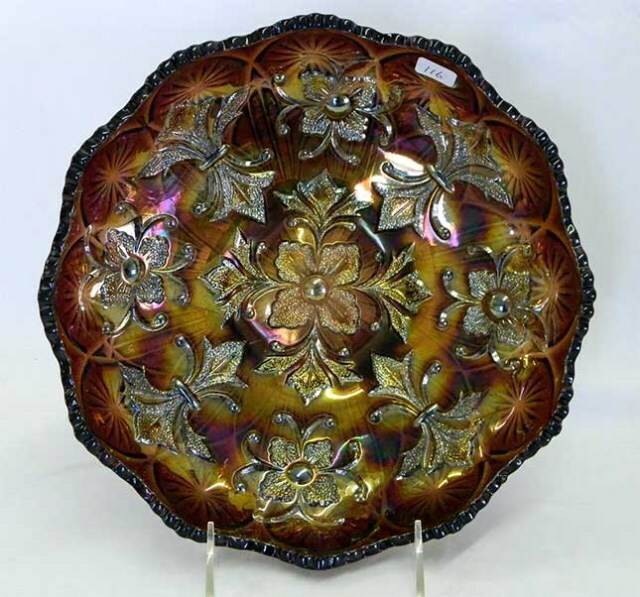 The collar-based rosebowl above right, also in amethyst, sold in 1997, bringing $3,250. 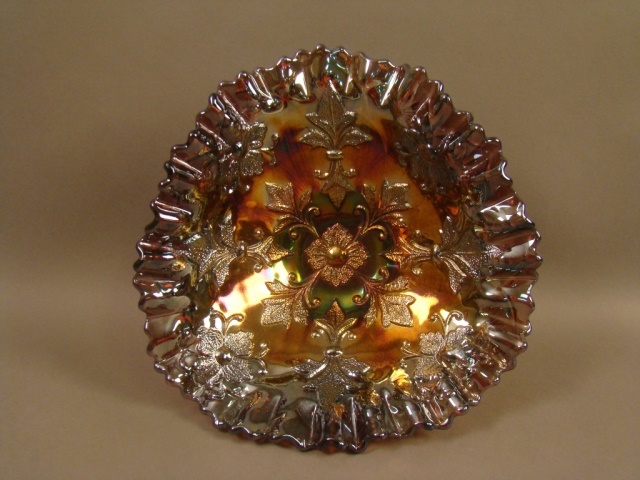 Above is the only known Fleur de Lis compote, courtesy of Tom and Sharon Mordini.